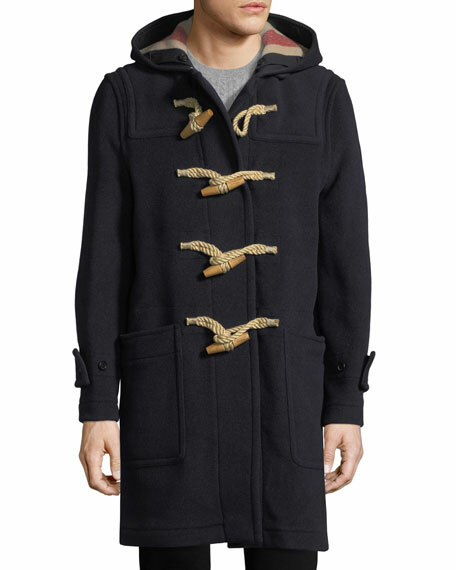 Burberry "Greenwich" coat in wool-blend. 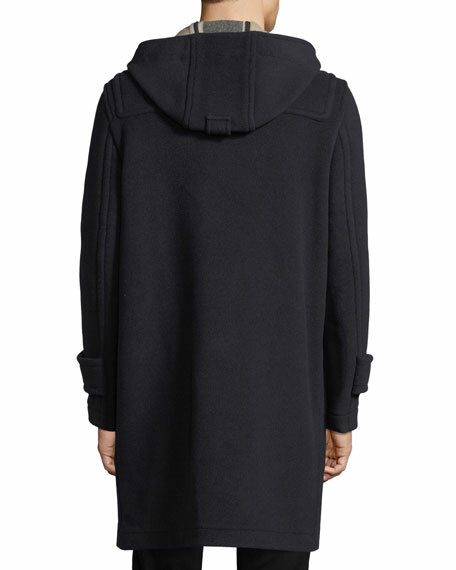 Hooded neckline; front toggle closure. Long sleeves; adjustable tab cuffs. 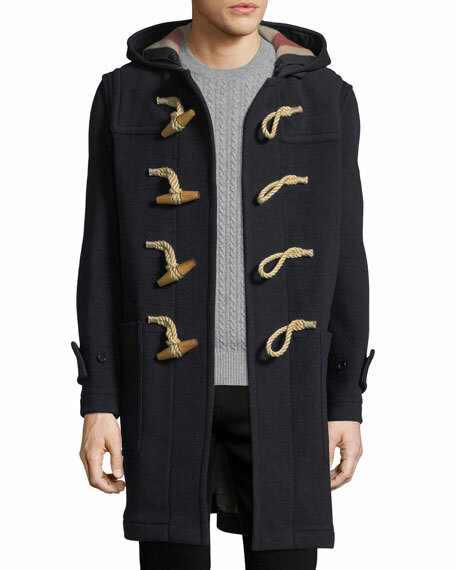 For in-store inquiries, use sku #2335897.